SaraPath Diagnostics has added an important test for the evaluation of specific cancers. This test is called Immunohistochemistry testing (IHC) and it is useful for screening a hereditary form of cancer known as Lynch syndrome. 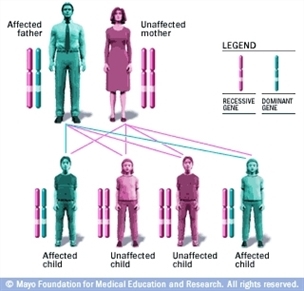 Hereditary cancers are those that run in families. People who have Lynch syndrome have a high chance of having cancer more than once in their lifetime, may have cancer at a younger age (under 60), and/or have a family history of certain cancers (colon, rectal, endometrial, ovarian, and ureter). Their close relatives may also have Lynch syndrome and the associated increased risk for cancer. People living with Lynch syndrome have a 60 to 80 percent chance of developing colon cancer during their lifetime, some of them before age 45. Women who have the disorder also have a high lifetime risk of endometrial cancer. To a lesser degree, Lynch syndrome also increases your risk of cancers of the ovaries, kidneys, stomach, small intestine, urinary system and bladder, skin, liver and bile ducts, pancreas, and brain. There are two screening tests for Lynch syndrome: microsatellite instability (MSI) testing and immunohistochemistry (IHC) testing. Either or both of these tests are generally recommended prior to gene testing and can be performed on the tissue from a person suspected of having Lynch syndrome. For ordering information, see our Lynch syndrome referral instructions under Related Materials or call our Client Services Center at 941.362.8900 or toll free at 877.362.9144.